Fortnite has taken the gaming community by storm and doesn't seem to be stopping anytime soon. It was originally a zombie survivor / 3rd person shooter / tower defense mix that was pretty fun in its own right but wasn't exactly blowing up. Then, the developer — Epic Games — decided it wanted a piece of that Battle Royale pie. You know — the genre that became massively popular thanks to PUBG (PlayerUnknown's Battlegrounds). So, Fortnite launched its own Battle Royale mode, which was separate from the main game and free to play. 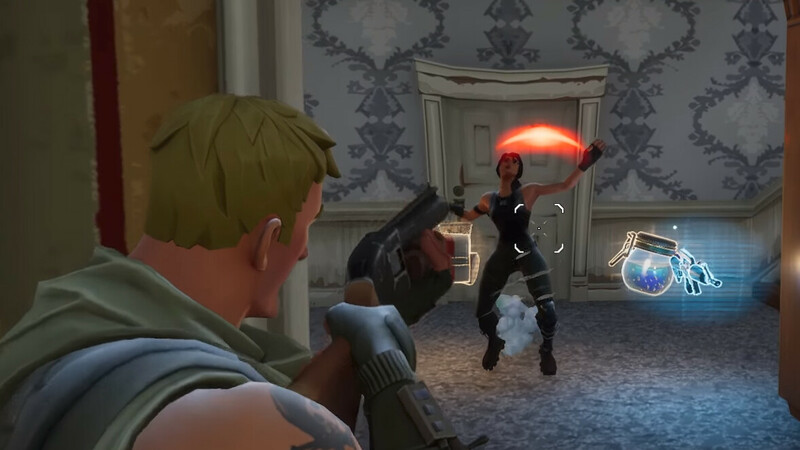 With the development prowess of a major studio like Epic Games, Fortnite's PvP mode zoomed past any issues it had in its rocky start and became rocketing up to success. Weekly updates that made meaningful updates and fixes were a major part in that. But Epic isn't quite done, oh no! Recently, the company announced that it will be launching Fortnite Battle Royale for phones and tablets — iOS first, then Android. And this wouldn't be a limited mobile edition, but a full-fledged experience. Pretty much the same game, as iPhone users would have the choice to go in match lobbies with PC and PS4 players. Yup, you read that right — full cross-platform multiplayer! How long do we have to wait for that to happen, you ask? Well, it seems it's not going to be that long! Epic Games has started a slow, slow rollout of Fortnite for iOS as it adds servers and makes sure the multiplayer experience is stable. The first group of players has already been invited and they are currently battling it out on their phones! If you want to join, you need to register on Epic's website — link below. We sure did! See you in Fortnite. Who knows, maybe we will get to spot Drake! Can't wait for my invite! Been playing on console and PC and its very, very addictive. Another garbage port with a subpar control scheme. CAN wait to headshot those noobs on my iPads touchscreen with a massive aim assist ... Pathetic.